Russia’s missing reactor-powered cruise missile in the Barents Sea obviously causes concerns, says Norway’s Environment Minister, Ola Elvestuen. «We have to take this seriously. From an environmental point of view this obviously causes concern,» Minister Elvestuen says to the Barents Observer. Norway and Russia share the stocks of cod in the Barents Sea, a multi-billion business and important for tens of thousands of dinner-tables across Europe every day. A missing reactor-powered missile is no good news. On Wednesday, Minister Ola Elvestuen met with the Barents Observer at the Fram Center in Tromsø, a Arctic climate and research center where also Norway’s High North section of the Radiation Protection Authority opened its new offices and lab. «A possible missing nuclear-powered missile in important fishing grounds of the Barents Sea shows the importance of having a radiation emergency preparedness unit in Tromsø,» Elvestuen says. First made public by President Vladimir Putin in March this year, the existence of a nuclear-powered cruise-missile was shown in a defense ministry video of the test-launching. Putin told that during the flight, the missile reached its design capacity and provided necessary propulsion. That would mean a start of the reactor, although the reactor going critical is not confirmed. During initial launch, the missile lifts off with regular fuel as can be seen in the video. The Central Range for nuclear weapons tests is located at Novaya Zemlya. As reported by the Barents Observer earlier this week, the launch site is by Russian bloggers discovered to be at Pankovo, an old observation post some few tens of kilometers south of the nuclear weapons polygon at the Matochkin Shar on Novaya Zemlya. From Pankovo, the missile was launched in a northern direction along the coastline towards the Barents Sea. The American news channel CNBC has previously reported that Russia’s new nuclear-powered cruise-missile has been tested four times in the Arctic in the period from November last year till February this year. A source from within Russia’s military industrial complex interviewed by Vedomosti assures the radiation safety during the test was ensured. However, at the time, tiny little radioactivity was measured at Svanhovd on Norway’s border to Russia in the north as reported by the Barents Observer and speculations raised about possible links to testing of the reactor-powered missile. Also in January and February, small traces of radioactive iodine-131 were measured in Scandinavia and other parts of Europe. 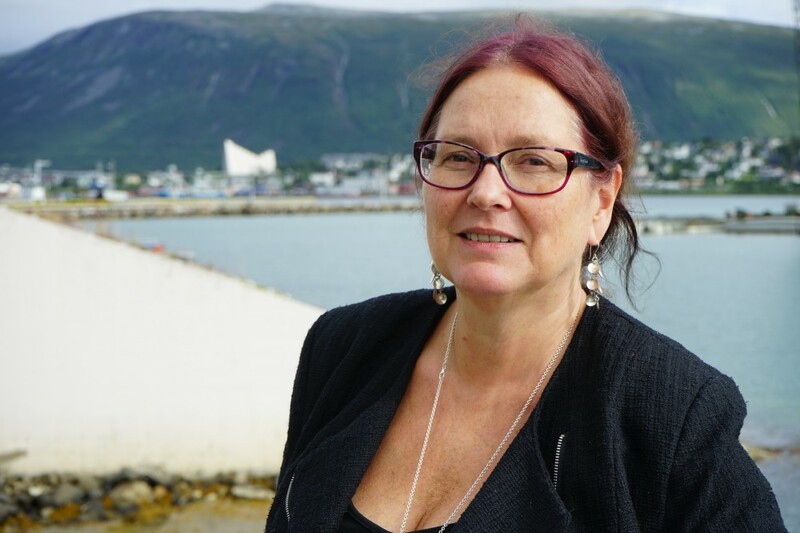 In Tromsø, Head of the High North Section of the Radiation Protection Authority (NRPA), Inger Margrethe Eikelmann, says no radioactivity has been measured in the Barents Sea that can be linked to a crashed nuclear-powered missile. NRPA’s Tromsø laboratory along with the unit at Svanhovd in the Pasvik valley have advanced equipment for measuring radioactivity, as well as mobile measuring instruments for ise in the field. «We are cooperating with both the Coast Guard and the Coastal Administration. Continuously updating threat-scenarios are important,» Inger Margrethe Eikelmann says. 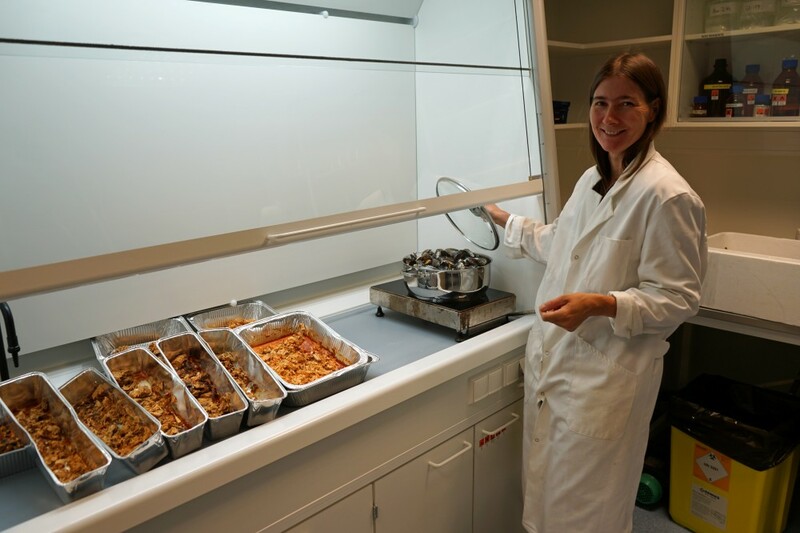 Today, researcher Louise Kiel Jensen is testing mussels and different spices of fish for radioactivity in the laboratory. Levels of different radionuclides are very low for all seafood along the coast of Norway and in the Barents Sea. 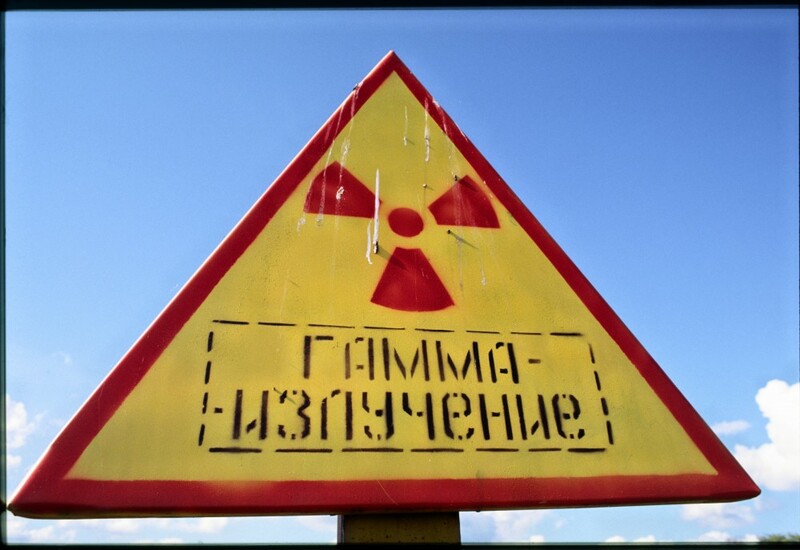 For the radiation watchdog, cooperation- and information exchange with counterparts in northern Russia is essential. «Our last joint expedition to measure radioactivity was in 2014 to the sunken nuclear-powered submarine K-159,» Ekelmann tells. The wreak submarine, with two reactors onboard, sank just off the coast of the Kola Peninsula in August 15 years ago. 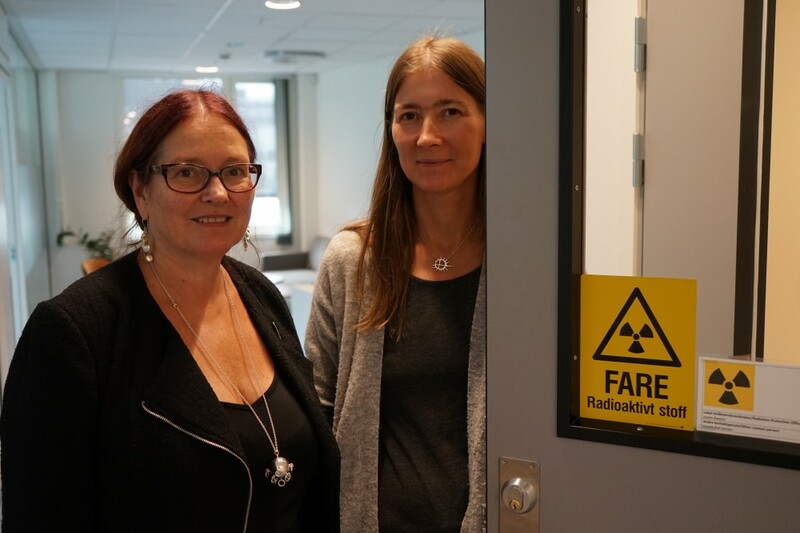 «Expeditions are expensive, but we do have a continuously very good exchange of information on measurements of radioactivity at sea with our Russian colleagues,» she says. Attention to possible incidents or accidents involving nuclear reactors are raising in Norway, not least because of the increasing number of nuclear powered submarines sailing in Arctic waters. Both Northern Fleet submarines from bases on the Kola Peninsula and U.S. or British submarines making port calls to Northern Norway. For the nuclear experts at NRPA in Tromsø though, the news about testing of reactor-powered missile and crashes are worrying. From Russia, little information about what’s going on is available. The missile program is surrounded by secrecy by the military. Spokesperson with the Ministry of Foreign Affairs in Oslo, Kari Eken Wollebæk, says in an e-mail that the ministry has received no notification from Russia in regards to the missile tests. 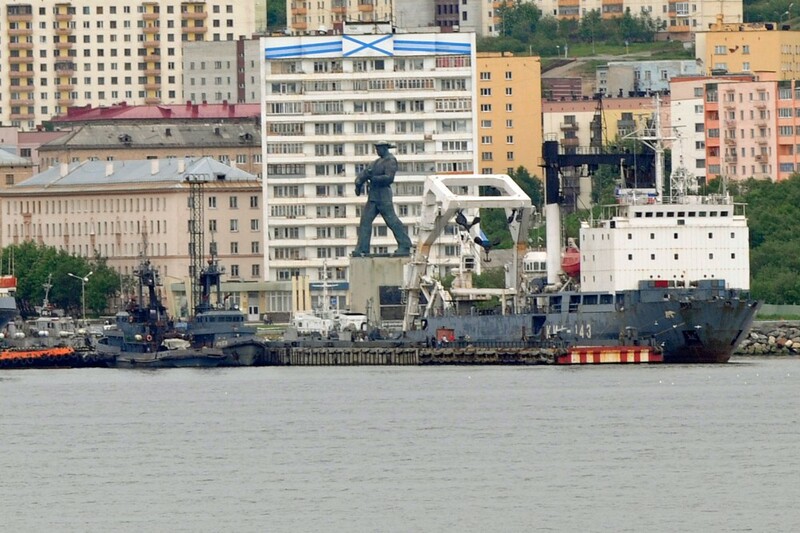 The commission will meet in Murmansk in September. Since the early 1990s, Norway has contributed with more than 2 billion kroner (€207 million) for nuclear safety projects in Northwest Russia. Meanwhile, Russia is launching a search- and rescue mission to the Barents Sea to recover the crashed missile, CNBC reported on Tuesday. Norway’s military intelligence confirms to the Barents Observer their knowledge about two of the tested missiles failing during flight. «The intelligence service confirms that Russia in November 2017 conducted two failed test-shootings of a new land-based cruise-missile from a temporarily test range at Novaya Zemlya. The first failed shortly after launch and fell down on the island. The other had a longer flightpath before failing or the test was aborted. That missile fell down in the sea near the shores on the west coast of Novaya Zemlya,» says Major Brynjar Stordal, spokesperson with the Joint Headquarters. He says the intelligence service connects the tests to the new weapon President Putin described earlier this year. «It is indicated that the new missile is using a reactor-propulsion system. The intelligence service can not confirm that the missiles tested in November 2017 had such propulsion system,» Stordal says. Also, the intelligence service has so far not registered, or received any information about, unormal levels of radiation from this area that is located some 800 kilometers from Norway. The distance from Norway’s north-easternmost town of Vardø to the launch site believed to be Pankovo south of the Matotchkin Shar at Novaya Zemlya is 830 kilometers across the Barents Sea. Major Brynjar Stordal elaborates and says the Joint Headquarters has not initiated any preparedness measures towards this area. The Norwegian military are, as normally, working in close cooperation with the NRPA and other civilian institutions, the spokesperson tells. In July, the Russian online Popular Mechanics published a longer article about the new missile powered by a small reactor. The article argues that the reactor could be a fast neutron reactor like the largest space reactors used by the Soviet Union. Also, the core may consist of Americium-242. The reactor is very small in size, maybe less than half a meter. Nils Bøhmer, nuclear physicist with Bellona says such reactor core might be possible. «It would then need less fissionable material to reach critical mass and consequently it would be less radioactivity compared with amore traditional reactor with uranium fuel,» Bøhmer says. He underlines that there are many unanswered questions and a lot of uncertainty regarding such untested technology. Testing a missile with a small nuclear reactor will, whatever, involve a calculated radiation risk. Any missile launched will have to come down, whether it is by accident or it hits its designated target. We can, with your help, continue free and independent journalism in the borderland to Russia in the north. Support the Barents Observer.